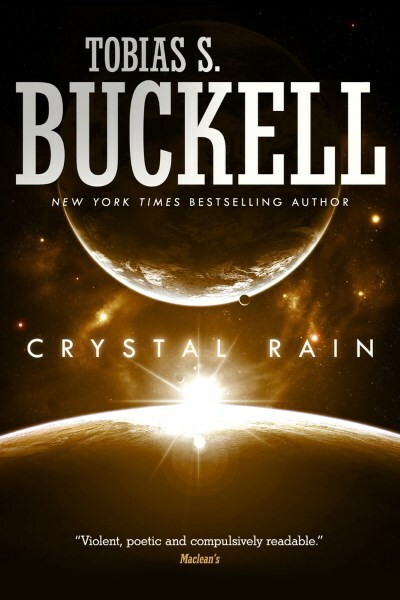 Crystal Rain by Tobias Buckell is the first novel of Buckell's set in his Caribbean-style sci-fi world. 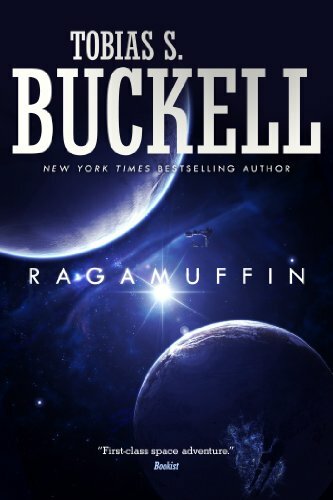 Buckell himself is a native of that region of the world, though he now resides in landlocked Ohio. You can follow the author on his blog. Buckell contributed a Pepper story to the Seeds of Change anthology, of which I received an advanced reader copy and reviewed. 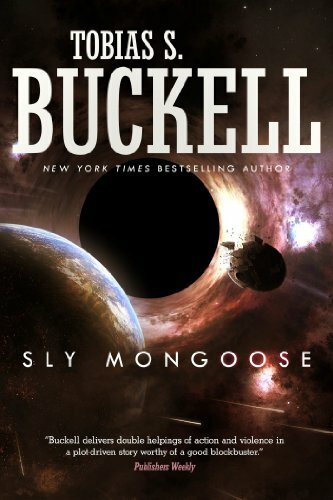 I also previously reviewed Sly Mongoose, which is the third novel (and I believe last as the publisher decided to not move forward with anymore novels set in this world) in Buckell's Caribbean sci-fi series. Events in Crystal Rain are such that Caribbean natives come to a far-off world to colonize and are then trapped there when the wormhole that they arrived through is closed. It's either that or face annihilation from an alien enemy. The mechanism which closes the wormhole also renders inert most technology, so the world is set back into a traditional Caribbean way of life, though there are elements of steampunk in the form of steam-powered watercraft and airships. Much of the story told in Crystal Rain revolves around John deBrun, a man who arrived on the planet under mysterious circumstances and who doesn't remember anything prior to his arrival. That was some twenty years ago. As the novel opens, another stranger to this world arrives, a cyborg named Pepper. Genetically modified to fight the ancient alien enemy which forced them to close the wormhole those hundreds of years ago, Pepper has come looking for John. John soon learns that Pepper holds the key to his past, and that their destinies are woven together whether John deBrun likes it or not. Crystal Rain is an enjoyable read, but I couldn't help but feel it was missing something. The character of John deBrun is hard to pin down; he's interesting, but ultimately feels flat. The same goes for many of the other characters with the exception of Pepper who was the most interesting of all. Sadly, the novel is really about John, though Pepper gets his fair share of narration. The title of the novel seemed a bit misplaced to me. It refers to snow, which the people of the novel experience only when an expedition ventures far north. Perhaps there is some deeper meaning here which I missed. 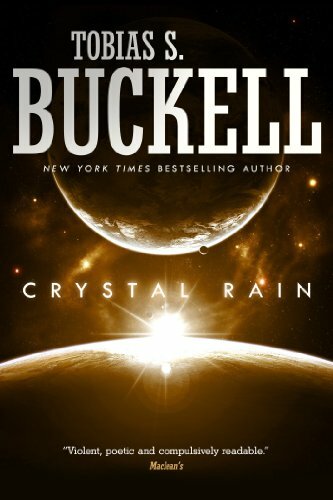 Overall, Crystal Rain is a good read, but I'm not overly compelled to go read Ragamuffin, the next in the series. I did, however, enjoy reading Sly Mongoose, which is a story that centers around Pepper.